I have made two hats recently. 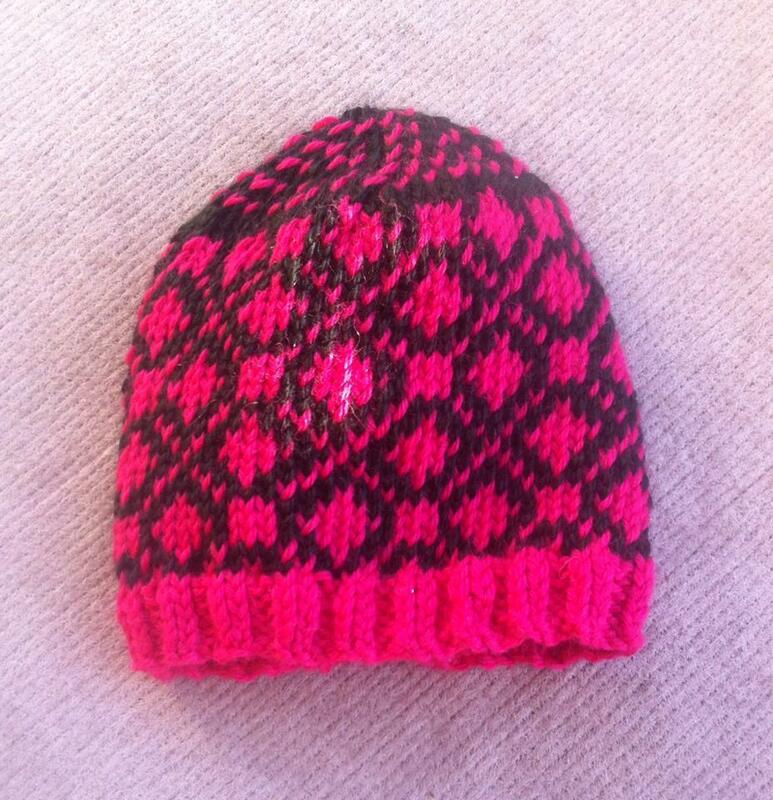 This first one is an adult woman sized hat. 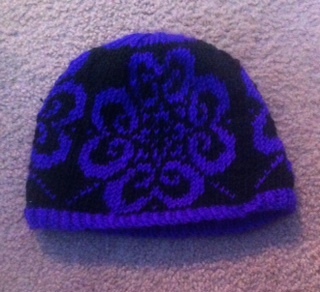 I used a flower pattern that i found on interest – it was too big though, I had to start decreasing in the middle of the pattern. 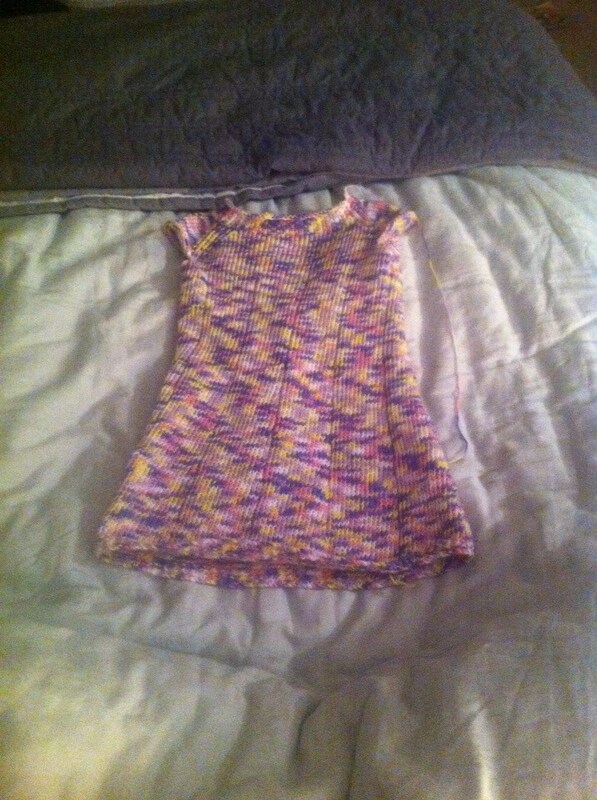 This one is for a baby, neutral colors as they don’t know the gender of the baby. 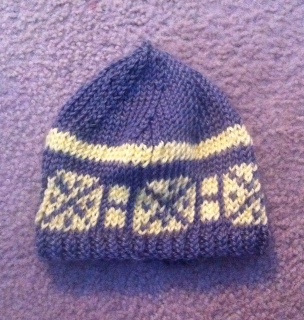 I made the color pattern myself and used a basic stocking cap pattern. I think it turned out well. This one only took me about two days to finish.